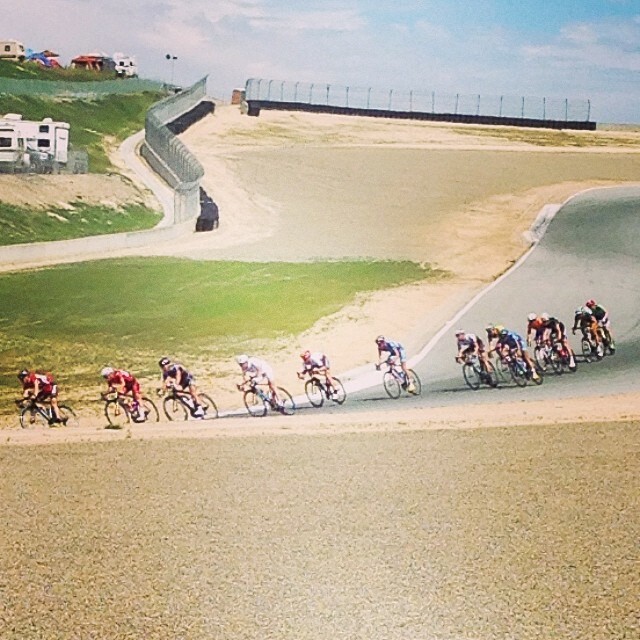 So today was the first race of Sea Otter, and it started out with a circuit around the Laguna Seca race track. The course was pretty awesome, it was wide open and super fast, not to mention safe. There was a pretty steep long climb that took a big part of the race, it was freaking brutal. I typically love climbs, but the steep punch climbs are hard. It didn’t help that we sprinted up it every time either. We started with 60 plus riders, and finished with a group of twenty with stragglers all over the course. 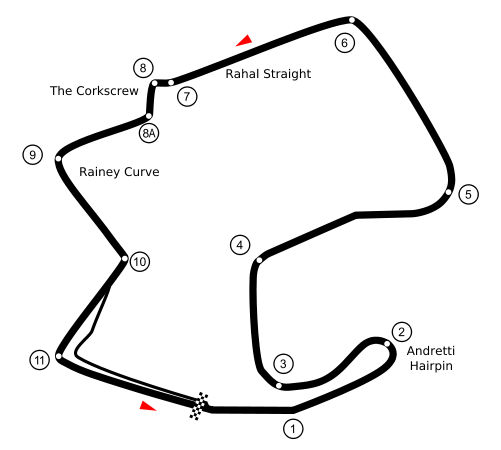 It was kinda like one of those races thats just like a cyclocross race, just because of the intensity of the course. I stayed in the front for the entire race, but happened to miss the winning move of three riders who broke away. I was pretty mad, but thats just racing and it happens. However, I hate when it does! I ended up twelfth after the sprint, but its not to bad of a result, it definitely could have been worse. Regardless I was not happy with the result. I did have a ton of fun out there racing, and really enjoyed the descent! Flying through the corkscrew at mock seven was pretty legit, I can’t wait to see some of the pictures of the race. Tomorrow is the road race, and I hope to make something happen there. I did hear that Joe Schmalz won the pro road race here today, which is awesome. It’s great to see midwest racers kicking some but on the west coast! All in all, the Hincapie Sportswear Development Team has been lights out this season, it looks like they are the new team to beat on the US side of things.